Gaming laptops can be bulky and heavy and NVIDIA is looking to change that with their new NVIDIA Max Q for gaming laptops. 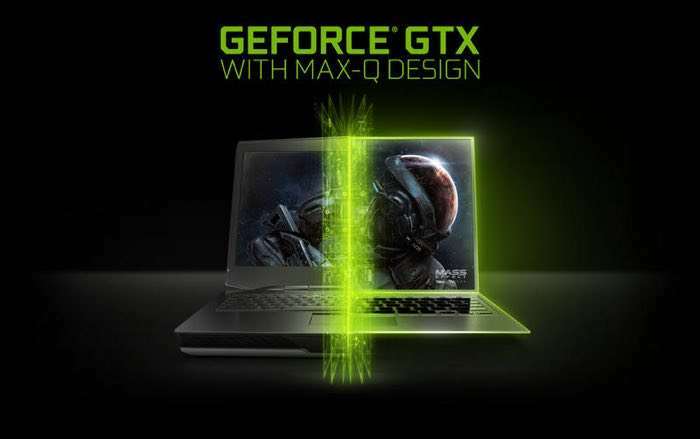 According to NVIDIA the new NVIDIA Max Q gaming laptops will be three times thinner and three times more powerful that previous gaming notebooks. Max-Q, an integral part of NASA’s mission to launch man into space, is defined as the point at which the aerodynamic stress on a rocket in atmospheric flight is maximized. Thus, the design of the rocket is precision-engineered around Max-Q. NVIDIA has applied a similar philosophy to designing gaming laptops, enabling OEMs to build laptops that are 3x thinner with up to 3x more performance of previous generation products. The results: a high-performance gaming platform, that is as small as 18mm thick — as thin as a MacBook Air — with up to 70 percent more gaming performance than what is currently available. You can find out more details about NVIDIA Max Q for gaming laptops over at NVIDIA at the link below.